Rickey Smiley is gonna be at the Ryman on Saturday night. You know the show is gonna be 1 mile past amazingly funny. 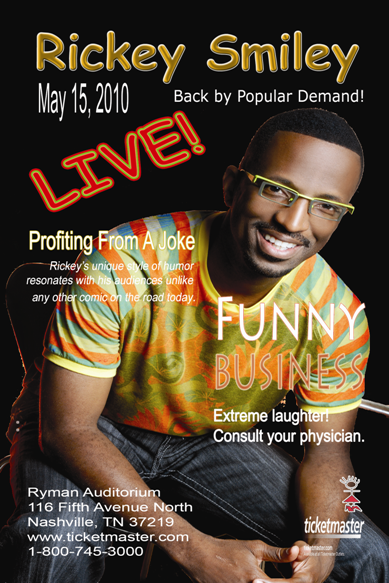 I’ve seen Rickey Smiley in concert one time and I thought I was going to explode from all the laughing I did. Nashville needs a good laugh after the month we’ve had. So if you have an opportunity to go, tickets are still available at Ticketmaster.